You are here: Home > Uncategorized > Amazing water glass trick like the human eye!!! If you are like me, you’ll love science experiments. 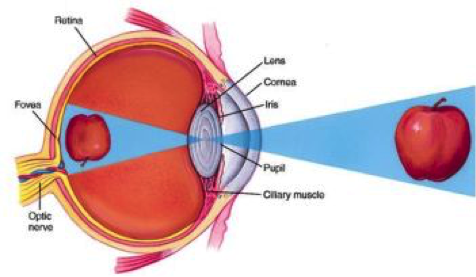 Did you know your eye is a complex optical system? Light enters the eye and is refracted by the cornea and the lens on its way towards the retina at the back of the eye. I bet you didn’t know that what you see is actually projected on to your retina upside down, and then your brain turns the image the right way up again.